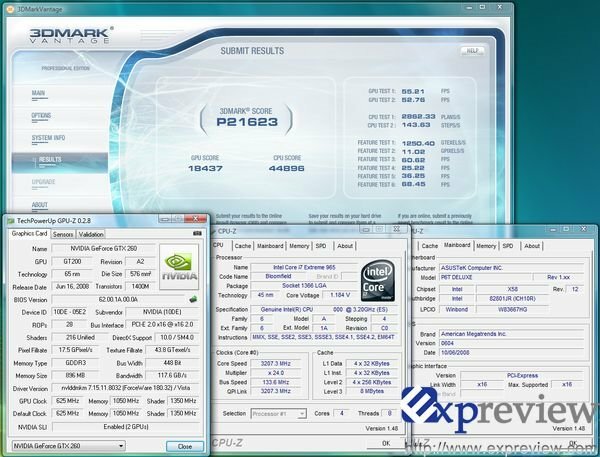 Expreview tested two Galaxy GTX 260-216 graphics cards in SLI on the ASUS P6T Deluxe motherboard to check how well SLI works on the X58 chipset. Turns out it works really well, they ran 3DMark Vantage and got a P10920 single card score and a SLI score of P21623. If you do the math that's a scaling of around 98%.